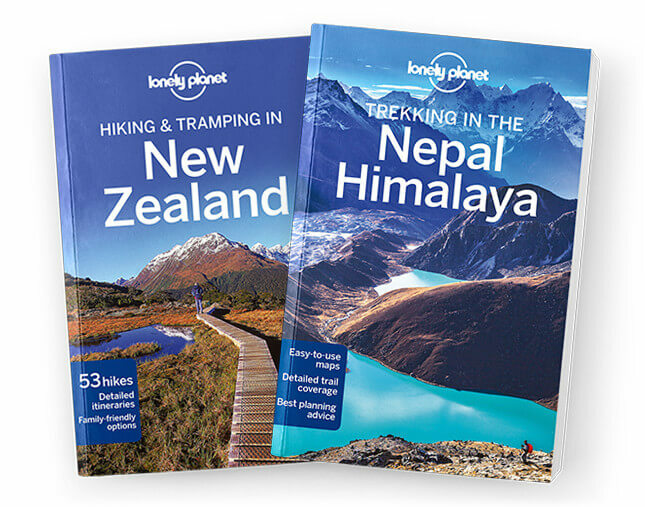 Lonely Planet’s Hiking & Tramping in New Zealand is your passport to the most relevant and up-to-date advice on what to see and skip, and what hidden discoveries await you. Spot seals and laze on golden sands along the Abel Tasman Coast Track; explore The Lord of the Rings scenery on Tongariro Northern Circuit; and tramp through ancient rainforest and along gnarly ridges on the Lake Waikaremoana Great Walk. All with your trusted travel companion. Get to the heart of New Zealand’s trails and begin your journey now! Coverage Includes: Northland, Auckland, Coromandel, Tongariro, Urewera, Central North Island, Taranaki, Whanganui, Around Wellington, Queen Charlotte, Marlborough, Abel Tasman, Kahurangi, Nelson Lakes, Canterbury, Arthur’s Pass, Aoraki/Mt Cook, West Coast, Mt Aspiring National Park, Around Queenstown, Fiordland, Stewart Island/Rakiura. What is a Walking guide? Whether you’re a keen hiker or a beginner, passionate about exploring the highest mountains or hills, these series will help you explore some of the world’s most spectacular places. Look no further for understanding and experiencing these majestic places and the people who call them home.